Please click the link below to review documents, presentations, and materials published by NCDENR Environmental Assistance and Outreach. This information includes information regarding oil and grease management. If you would prefer a printed copy of this information, please contact Town Hall. 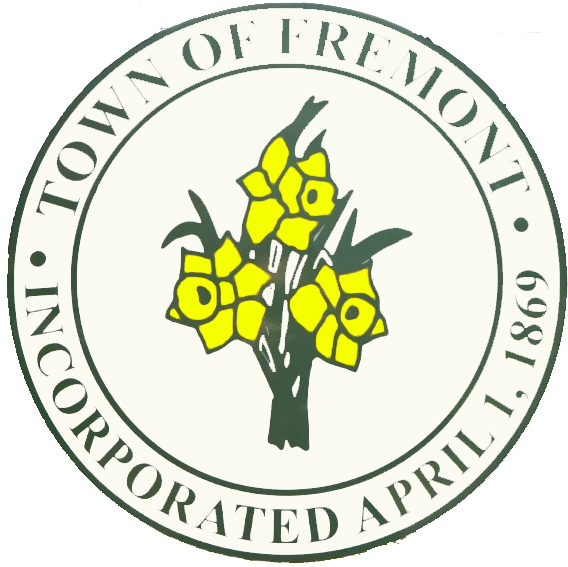 Effective November 18, 2014, the Fremont Town Board voted to cease refunding Renter deposits until the renter moves. The deposit will be applied to the final bill. If the Town owes the renter a refund, a check will be mailed to the forwarding address that is on file. Any questions regarding this matter should be forwarded to the Town Finance Officer. The Town of Fremont operates a wastewater collection system under permit PWSID # 04-96-025, issued by the ENVIRONMENTAL MANAGEMENT COMMISSION, N.C. DEPARTMENT OF ENVIRONMENT AND NATURAL RESOURCES, as issued on October 24, 2008. This system consists of approximately 12 miles of gravity sewer, approximately 20 miles of force mains, ten (10) duplex pump stations, and all the associated piping, valves, and appurtenances necessary to operate a wastewater collection system for the Town of Fremont. During the year 2014, this collection system was operated in compliance with all regulations applied to it by NCDENR. During 2014, this system had no SSO’s (Sanitary Sewer Overflows). Our ten (10) pump stations are visited and inspected at least once per week to ensure that they are operating correctly. Each of the ten (10) pump stations is equipped with two pumps that alternate in operation. Wastewater collected by this system is pumped to City of Goldsboro via a 10 inch diameter force main, where it is treated prior to discharge into Neuse River. The Town of Fremont has its own spray field and permitted to spray 93,000 a day on a hay crop. The Town of Fremont’s collection system underwent an extensive renovation in past 10 years the Town replaced approx. 100 man holes, 100 point repairs and lined 2 wet wells in order to reduce the amount of ground water infiltrating into the system. Should you have any questions, please contact Gary A. James, POTW Director, by mail at P.O.Box 4 Fremont, N.C. 27830; or by telephone at 919-242-1002. A copy of the full report is available at Town Hall during normal business hours.